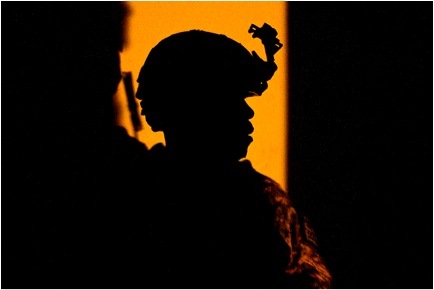 US Army Staff Sgt. Clarence Washington, Provincial Reconstruction Team Zabul security forces squad leader, takes accountability after an indirect fire attack in Qalat City, Zabul Province, on July 27, 2010. Photo via the US Army by Sr. Airman Nathanael Callon.